Storefronts are a unique offering for sellers who want to showcase their brand. 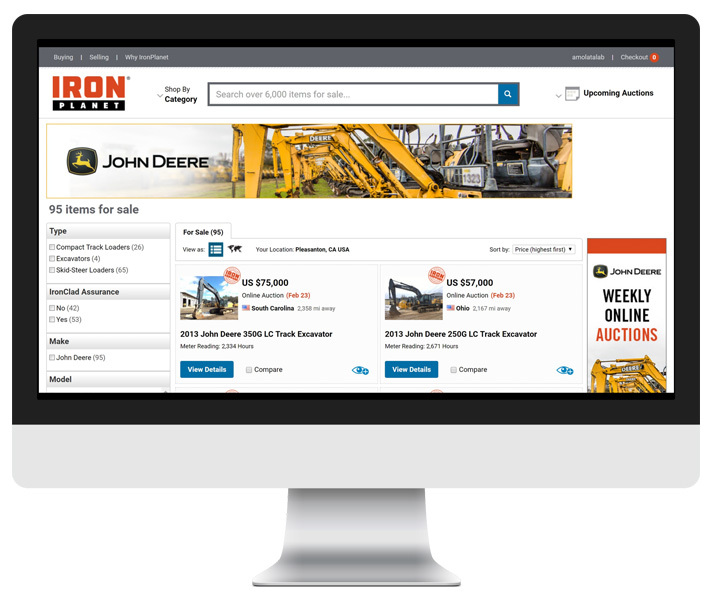 With IronPlanet Storefronts, you receive a custom branded seller page that includes all your listings for sale. In addition, sellers who maintain a certain level of inventory receive access to dedicated merchandising and advertising campaigns to drive additional traffic. With the IronPlanet storefront, sellers also receive a monthly analytics report that includes traffic and purchase funnel analytics – helping you make more informed decisions regarding your assets. What makes a Storefront unique? Please fill out the form below to request for your Storefront.